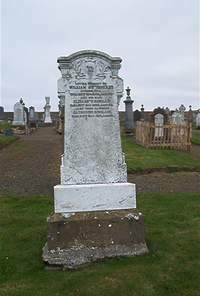 William Sutherland farmer of Dall died 26th November 1922 aged 75. Wife Elizabeth Sinclair died 29th November 1923 aged 65. Daughter Catherine Sinclair died 24th November 1912 aged 19.